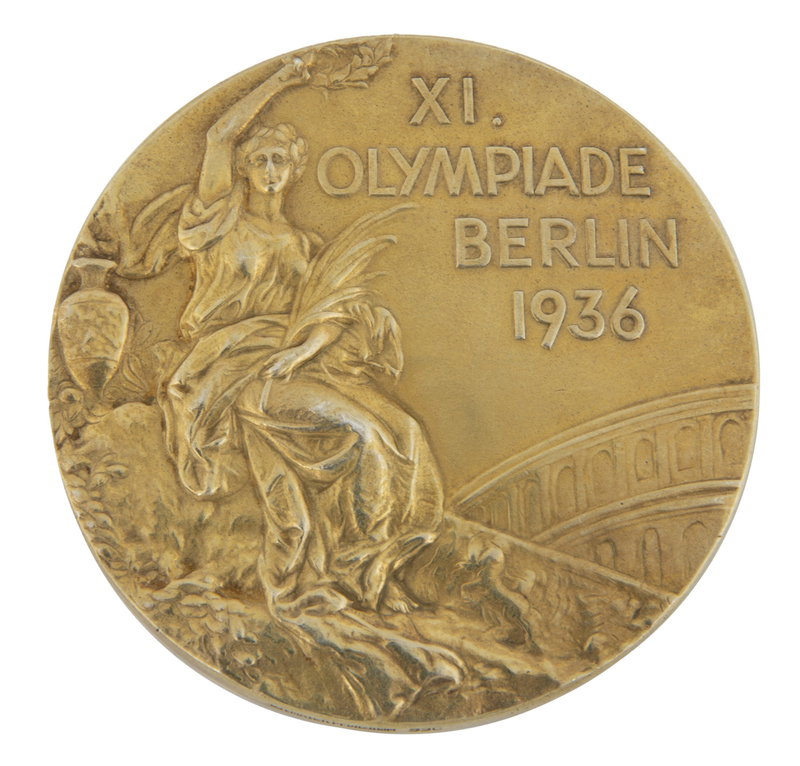 A rare 'gold' medal from the 1936 Olympics in Berlin is to go to auction on 25 April as part of the Julien's Auctions Sports Legends auction. The 1936 Olympics took place in Berlin from 1 to 16 August, presided over by Adolf Hitler, just three years before the outbreak of the Second World War. These were the first games to be televised, with Hitler using the Games as a means to promote his government and ideals of racial supremacy. The 'gold' medals issued at this Olympics were actually made of gilt silver; the last gold medals were distributed at the 1912 Olympics. 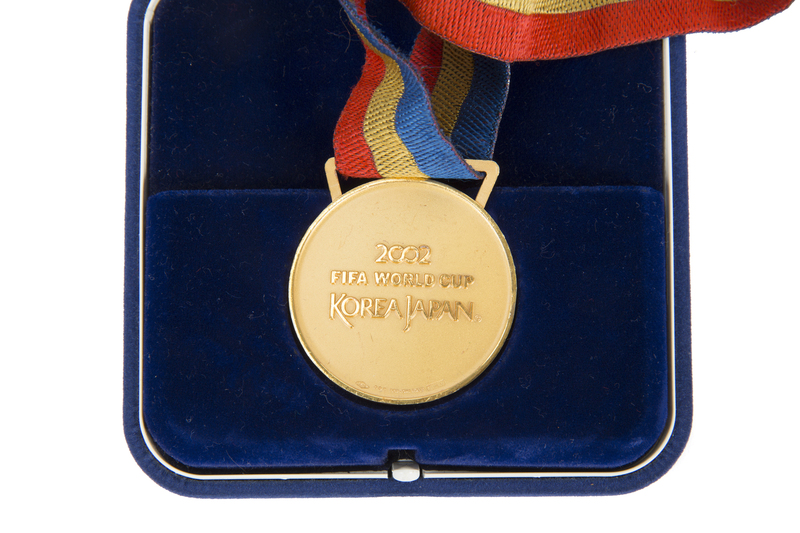 No provenance is available for the medal and its expected sale price is in the range of $15,000 to $20,000. 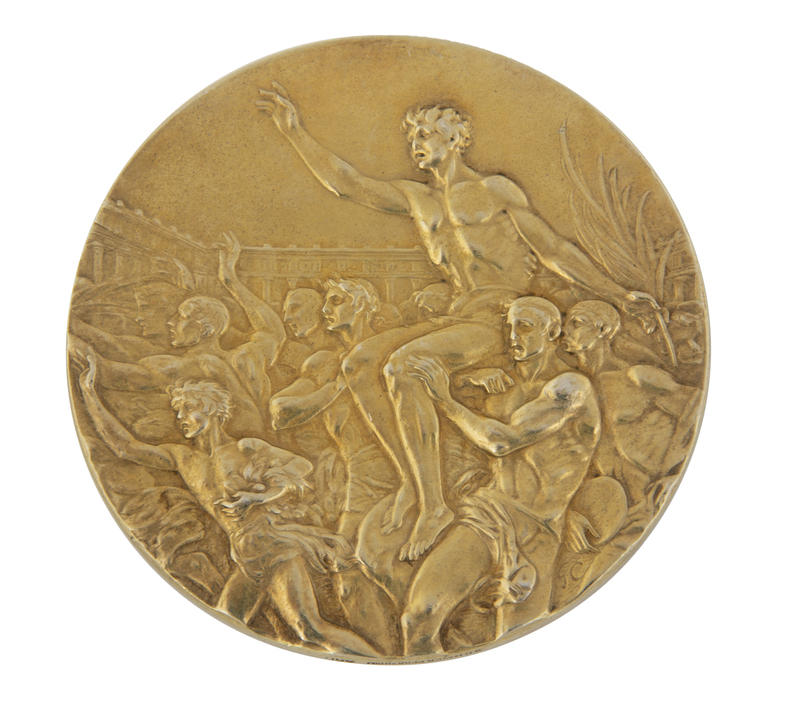 The obverse of the medal has Victory holding a palm leaf, with celebrating athletes shown on the reverse side. The medal was engraved by BH Mayers. It will be auctioned on 25 April as one of around 300 lots in the Sports Legends online and public auction. For auction details, visit the website. QUICK LINK: How much are Olympic 50p coins worth?